Double Stuff Oreos baked into chocolate muffins with added chocolate chips make the perfect sweet breakfast or snack. Happy New Year, lovely people! We have come to the end of 2012 and to the final muffin in the holiday series. As she does once in a while, Anuradha, our intrepid Muffin Monday leader, gave us free reign on this one, no prescribed recipe but one stipulation: The muffin must be rich with chocolate. This muffin is for Nicholas, my friend Mary’s second son. He was a sweet child and has grown into a delightful young man. 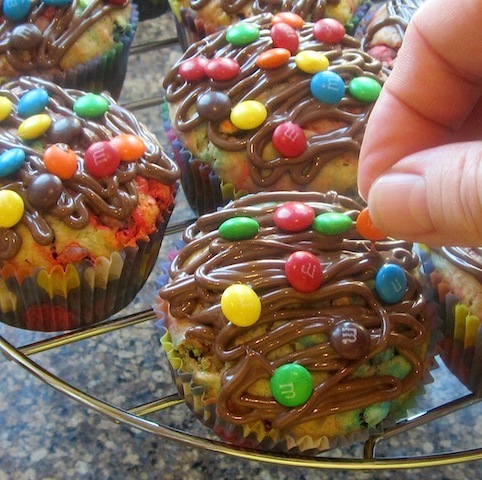 When I was staying with them in Paris a couple of months ago, I made the Twix muffins for Muffin Monday. Nick really liked them but he asked if I could make an Oreo muffin because those are his favorite. I said I didn’t see why not. And here is my perfect chance! They have Double Stuff Oreos in the batter, as well as sprinkled on top. And melted semi-sweet chocolate in the batter, along with extra semi-sweet chocolate chips, so I think they fulfill the rich with chocolate requirement. Happy New Year to all the Capons, but especially to Nick! Thanks for the idea and I hope this is your best year yet! Preheat your oven to 350°F or 180°C and grease your muffin pans (one 12-cup and one 6-cup for a total of 18 muffins) or line them with paper liners. Gently melt your baking chocolate and butter in a microwaveable bowl (30 seconds at a time, stirring in between, until just melted) or in the top pot of a double boiler. Stir well and set aside to cool. Chop the Oreos roughly with a large knife and separate them into two piles of about two-thirds and one-third. Just eyeball it, no need to measure. The bigger pile will go into the batter. The smaller one will be sprinkled for topping before baking. In a large bowl, mix together your flour, sugars, baking powder, baking soda and salt. In a smaller bowl, whisk your eggs and milk together. Add in the melted chocolate/butter and whisk again. Pour the liquids into the bowl of dry ingredients and fold them together until they are just mixed. Fold in the bigger pile of Oreos bits and the chocolate chips. Divide your batter between the prepared muffin pans. Sprinkle the tops with the smaller pile of Oreos and bake for 20-25 minutes or until a toothpick comes out clean. Allow to cool in the pan for a few minutes, then remove to a rack to cool completely. I considered various glazes for this one but decided to just let those lovely white bits of Double Stuff shine forth. And don’t they look pretty? 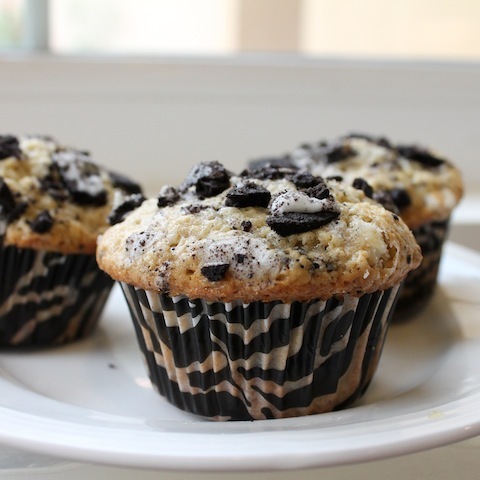 You might also enjoy my Cookies and Cream Muffins, made with Oreos and rich cream. Last year around this time, we were clearing out our house and making piles marked Donate, Move and Give Away. There was another huge pile called Rubbish. We were moving from Kuala Lumpur to Cairo and there was much to be done. 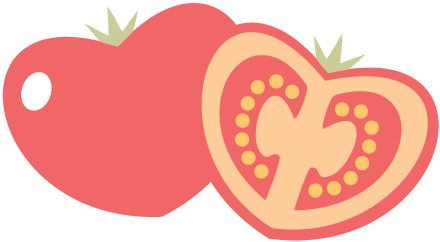 My blog was hardly six months old and, in all the turmoil that is a move, it never even occurred to me to do a favorite recipe round up. One year on and two moves later, I think it’s time. So, without further ado, I give you the top five most viewed recipes on Food Lust People Love. 5. Pumpkin Tres Leches Bundt Cake was posted back in November when Mexican Independence Day meets Thanksgiving. 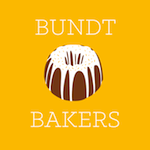 I think it was my first BundtaMonth post and so I am delighted that it has been so popular. 4. 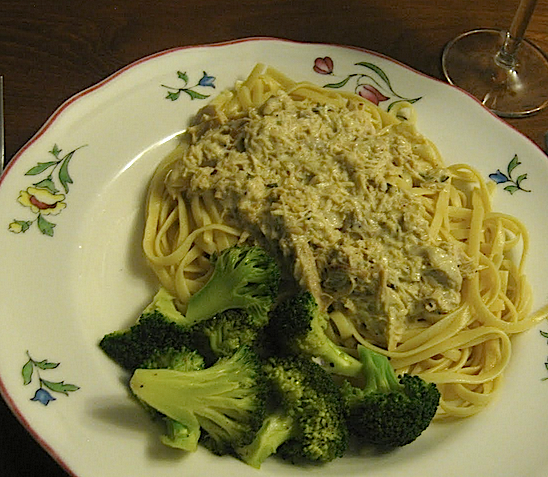 Rosemary Lemon Chicken Stroganoff was one of my earliest posts, from way back in June of 2011. It held the top spot for almost a year and now still makes the top five a year and a half on. It’s what I make when I have leftovers of Nigella’s Rosemary Lemon Chicken and, often, I make extra just so I can make this. 3. Gram’s Fig Spice Bundt Cake is not only third on the list but I believe it is also one of my most commented-on posts. I like to think you keep coming back to see photos of my cute grandmother and her handwritten recipe, but I suspect the buttermilk glaze is the draw. 2. Birthday Banana Cream Pie was first in views for many months before it was overtaken by the current first place holder. Creamy custard in a home-baked flakey crust over sweet bananas and, finally topped with whipped cream. Even the dog couldn’t resist trying to have a lick. 1. Tasty Turkey Pot Pie was a surprise contender! It came out of nowhere to take top place, even though it is one of the most recent posts, because I guess you all had too much leftover turkey. Or you just like potpie. Or you like to use leftovers! Or you love puff pastry. Whichever it was, it makes you my kind of people. Thank you for reading, thank you for commenting, thank you for interacting on my Facebook page and thank you for a wonderful year! Just that you are reading, makes it all worthwhile. Meatloaf gets a bad rap. Always has and I don’t know why! It’s like a big hamburger patty in a pan and everyone loves a juicy hamburger, right? Personally, I prefer the meatloaf because I am not a huge fan of hamburger buns. And I can take a bite of mashed potatoes with every bite of meatloaf. Try that with a burger. My best meatloaf recipe comes from my mother-in-law and, like her, it will never do you wrong. I don’t know where she got the recipe, but my copy is splattered from years of use, in my recipe binder, in her handwriting. A true treasure. This year has been a difficult one for my mother-in-law as she cares at home for my father-in-law who has become almost completely bedridden. For a while hospice was coming in three days a week, such was his state of ill health, but hospice will only continue coming if the patient continues to decline. So the very good news is that he has stabilized. And the bad news is that he is no longer entitled to the care they give. So lately, she has had to hire nurses to help her a couple of times a week. She’ll turn 79 in a little more than a month, so all of this is hard on her alone and she does much that would exhaust even a younger person. I am so proud of her and the good grace she demonstrates. My mother-in-law has always called me daughter, not daughter-in-law, and that makes a world of difference. Another thing I can say about her is that she is an adventurous cook and eater. She regularly cuts recipes out of her local newspaper or magazines and gives them a try, just for something new. She claims not to be a good cook, but she produces some amazing meals. Like this meatloaf. She is also beautiful and funny and loving. I want to be her when I grow up. I made and photographed this when we had just moved and I didn’t have a loaf pan, so you will see how I improvised. By all means, use a normal loaf pan if you have one. Preheat your oven to 400°F or 200°C. 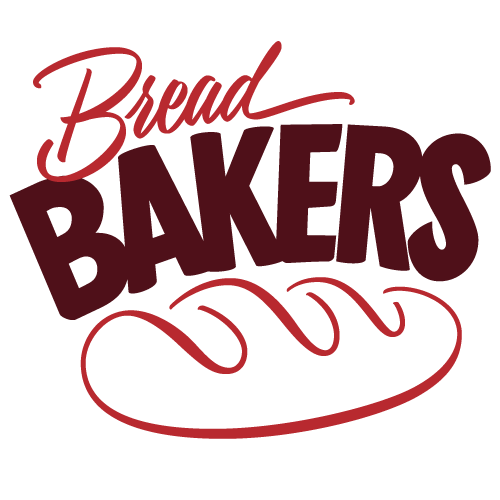 Rip the bread into rough pieces and, in a small bowl, pour the milk over it, pushing the pieces down into the milk. Soak until all the milk is absorbed. Mash the soggy bread with a fork and then add to a large bowl with all of the other ingredients. Mix well. Tip the lot into a loaf pan or into a piece of foil that you will form into the shape of a loaf pan, inside a larger pan. Bake for about an hour or until the meatloaf is browned nicely. Serve along with some rich mashed potatoes, gravy and the vegetable of your choice. I am telling you what, this meatloaf is GOOD! 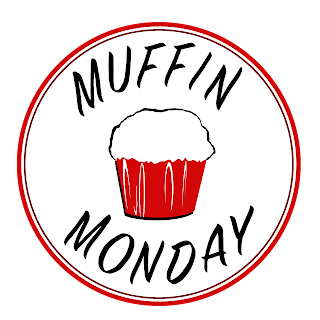 Our Muffin Monday recipe for today was a pancake muffin with maple syrup and a streusel topping. Which sounded delightful. But at our house, the pancake of choice, especially when the girls had slumber parties, always included either little chocolate chips or mini M&Ms and not a drizzle of syrup. So I decided that if I were going to make pancake muffins, I’d better do it right. I was baking these on Saturday in preparation for posting on Monday and we were indeed celebrating a birthday, although, sadly, without a gaggle of giggling girls sleeping over. And I learned a new term: Golden Birthday. I guess the whole world knows what that is but I had never heard it before. It was my elder daughter’s Golden Birthday, which means that she turned 22 on the 22nd. It also means that my grandmother is now 99 years old! She and my daughter share a birthday and a special bond, as she was the first great-grandchild. 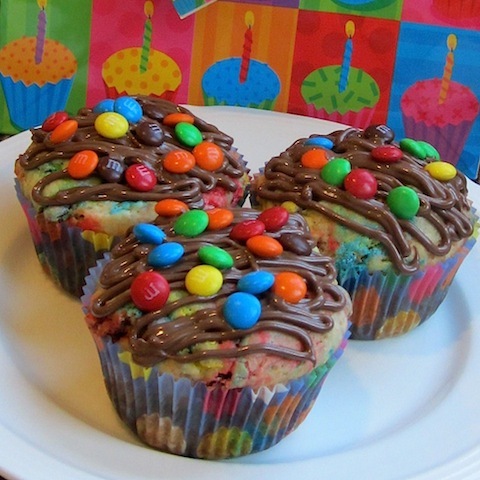 So I offer you these special birthday party pancake muffins in celebration of two very special birthdays. Perhaps there is someone in your family that needs celebrating too? Make them these! Preheat the oven to 350°F or 180°C. Grease and flour a 12-cup muffin pan or fill it with paper liners. Combine the flour, sugar, baking powder, baking soda, and salt in a large bowl. Fold in the first lot of mini M&Ms. Divide the batter between the muffin cups and bake about 20-25 minutes or until a toothpick comes out clean. Allow to cool for about five minutes then remove the muffins from the pan and cool completely on a rack. Top with the second lot of mini M&Ms. Now don't those looks just like a party, but for breakfast?